The tiny island country has tons to do. 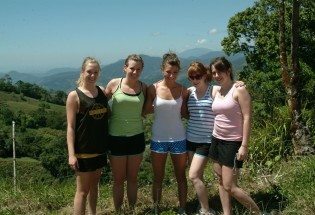 Enjoy hiking, beautiful beaches, cultural & community interaction, hands on workshops and french language courses! Martinique is unlike any place. Learn about the history and culture of the local population while being immersed to practice and develop your french language skills! Day 1 - Travel to Martinique! Meet as a group and travel to Forte-de-France, Martinique. Arrive in Martinique! Your first stop on the beautiful island of Martinique will be its capital, Forte-de-France. Meet your Evolve Tours Guide excited to spend the next week with you. From the airport, hop on your coach bus and head to the hotel to check-in, drop off your bags, and freshen up. Enjoy a welcome group dinner, before returning to you hotel to rest for the evening. This morning, be sure to have a hearty breakfast so that you’re ready for an active day. Depart from the hotel and head North towards Mount Pelée. Today, a local guide will take you hiking in the Mount Pelée region. Here, you will be immersed in pristine landscapes and be able to take in breathtaking views as you hike. Your guide will have a wealth of knowledge to share with you about the area, its history, and your surroundings. Once you have wrapped up your morning hike, stop in the town of Le Morne Rouge, where you can grab a bite to eat. After having had the chance to relax post-hike, enjoy an afternoon of kayaking and exploration with a local guide, who will lead the group through mangroves and share knowledge of the local environment and ecosystems. Enjoy dinner as a group. Wake up and enjoy a continental breakfast as a group. Then, transfer north to the Centre de Découverte des Sciences de la Terre. Discover the permanent exhibits including the Mineralogical Gallery, deadly volcanos, and more! Afterwards, return to our accommodations and enjoy the afternoon at the beach. Return and enjoy a group dinner and then participate in a dance workshop for the evening! This morning, enjoy breakfast. Head to our first french Lesson at the France Langue School. After lunch, you’ll have the wonderful experience of participating in a community service project. Interact with the local population, test your language skills, and engage in a cultural exchange. Here are some examples: help run programs at a local school, planting initiatives, painting and light repairs…etc. Project specifics will be determined closer to the date, as they are designed to adress the current needs of the community at the time. This evening, we will have a group dinner at a local restaurant. Afterwards, head back to the hotel for a good night’s rest. This morning, eat breakfast as a group at the hotel. Head to our french class for the morning. Enjoy lunch and then we will pay a visit to the Space museum Aimé Césaire. Aimé Césaire, the founder of the Négritude Movement was a monumental figure in the struggle for civil rights. Feel his prescence and learn more about Martinique’s history as you explore the museum. Return for a group dinner before heading back to our hotel for the evening. This morning, enjoy breakfast at the hotel. Head to our morning french class. 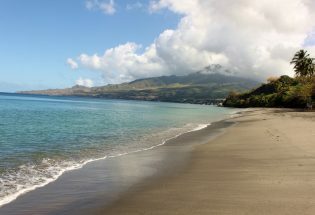 Enjoy the beach and soak in the Martinique sun for the afternoon ! Enjoy dinner as a group before heading back to our accommodations. Wake up, grab breakfast at the hotel, and enjoy our french class. After lunch , the group will participate in a Creole cooking workshop! Beginning at the Grand Marché of Fort-de-France, our workshop chef will take us to source local produce, spices, and herbs. We will then head to Schoelcher, while toting our fresh ingredients, where our chef will lead us through the steps to prepare and cook a traditional three-course creole meal. After dinner, we will head back to our hotel for the night. Today, enjoy breakfast at the hotel as a group. Then let’s head to participate in our last 2 hour french lesson of the trip at the France Langue School. After lunch, we will be visiting some landmarks and museums to learn about the history of Martinique. We will drive to the town of Les Trois-Îlets to take a tour of La Savane Des Esclaves and visit the Pagerie Museum to learn about the town’s history. This evening, enjoy dinner as a group. Afterwards, enjoy a guided walking tour of Forte-de-France led by a local guide. Stops on the walking tour will include a range of historical landmarks including Schoelcher Library, St. Louis Cathedral, Palais de Justice, and Pavillon Bougenot. Enjoy breakfast at our accommodations. Head to the Martinique zoo! 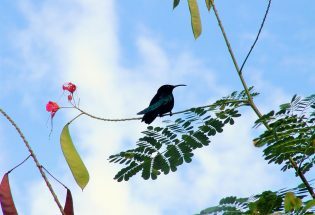 Spend the morning exploring the Martinique Zoo and the Balata Gardens to discover Martinique’s unique flora and fauna. Lunch on site. Enjoy an the rest of the afternoon at the beach. Enjoy breakfast at the hotel and our last morning in Martinique. Check out, load our bus and transfer to the Fort the France airport. Board our group flight home. Arrive home in after an incredible tour to Martinique together! Daily breakfast and dinner included in tour. Meals at locally owned and run restaurants and accommodations serving authentic cuisine sufficient for teenage appetites. 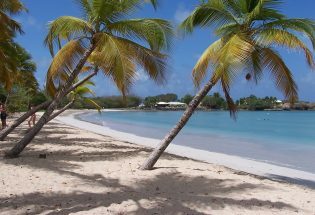 Martinique is the largest of the Windward Islands, is the only French island in the group.